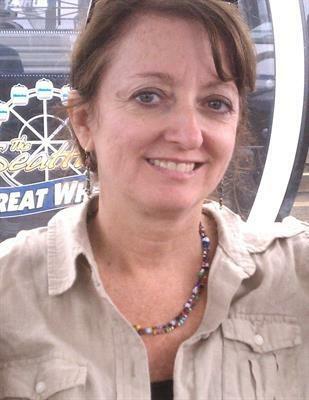 Sherri Lynn Newborn, 52, passed away Friday, leaving a husband and two children. Down here at Mother Trib we remember her as Sherri Ackerman. For years she was a reporter who mostly covered education before being laid off five years ago. Those are pretty much the facts. Unless you were a friend, you might only remember the byline, although I'm not sure how many of us remember the bylines on news stories that only bother with the facts. Too much of what passes as news these days is not news at all. It's written by people like me, who cleverly (or not) twist reality to fit their own boxes or agendas. Cable TV and the brave new world of social media are spawning grounds for misinformation and bias. Sherri was a journalist. Her parameters were the facts of whatever her assignment was. She didn't take the glory road to get her position. She did a dozen odd jobs from waitress to oyster-shucker. She earned her degree at the University of South Florida and at Mother Trib she did everything from night cops to covering baby beauty contests. Along the way she found her niche — two niches actually — education and children. Which brings us to her problem. She wasn't perfect. It turned out she came to love her beat so much she couldn't shake it even when she had moved on. Journalists ... I mean real reporters who don't pick their own stories but are shipped out to do the legwork of getting facts from people who aren't inclined to give out much of anything, seem to be slipping away or are being overshadowed by the shouters. I was one of those who took advantage of Sherri's efforts. She became an expert on the Byzantine education systems in Florida and Hillsborough County. Her stories, gleaned from her sources and hours of sitting through meetings, were a window into the good, bad and the confused in the system. As a columnist, I could call on her for enough facts to launch into some rant about the failings of the system and leave her to explain to her sources how I'd found something out. I really didn't know much about her private life, except she had a family she worshipped as much as I'm told they did her. I knew they liked to travel and spend time outdoors. She loved food and every now and then would branch out with a story about a restaurant or some place her family had discovered. I also knew, that like most people in her field she worked long hours, got little credit and practiced the good nuts-and-bolts reporting that we are supposed to be about. Journalists tend to be a close-knit group. Reporters and editors often hang around together, avoiding the people and institutions they report on. These are difficult times in our profession, and losing someone as full of life and passion is devastating. For the rest of the community, the ones who may have read her stories and not remembered the byline, you have lost someone who cared about your children and the world of education they are put into, and did her best to explain it fairly and with accuracy.